Get an Inyo County Traffic Ticket? You Can Beat It! Did You Get a Ticket in Inyo County, California? You can fight Inyo traffic tickets by getting them dismissed much easier than you may think. In Inyo, California, drivers are allowed to contest a traffic ticket using a Trial by Written Declaration. This is best way to fight a traffic ticket without going to an Inyo courthouse or hiring an expensive Inyo traffic ticket lawyer. We have found this to be the best way to contest a California traffic ticket, period. This option is available to every driver who receives a traffic ticket in Inyo, California. In fact, if you turn over your traffic ticket you will see that a Trial by Written Declaration is listed right on the back of your ticket as one way to fight it. This process has been around since 1978 to avoid having to pay traffic ticket fines. TicketBust has been helping California drivers prepare Trial by Written Declaration’s for over 14 years. In fact, tens of thousands of vehicle tickets in California have been contested using our system. We are the original traffic ticket fighter and the TicketBust system has been developed specifically to prepare all your documents properly based on how you answer a few questions. This way you can fight your ticket, knowing you have maximized your chances of having the court dismiss your Inyo County traffic ticket. When you contest a ticket using a Trial by Written Declaration not only don’t you need to go to court, but you don’t even need to take traffic school if the ticket is dismissed. If the ticket is dismissed, no point will appear on your driving record and the bail will be refunded to you in full. If the ticket is not dismissed and you are eligible for traffic school, then you should still be eligible after a Trial by Written Declaration. TicketBust service will prepare your full defense package for you, which includes your Trial by Written Declaration and all the defense documents required by Inyo traffic court. Fill out the yellow form to fight your Inyo traffic ticket now! Did you know that you aren’t allowed to pass the white limit line when you are stopped at an intersection? From our experience, this can be a common ticket issued in the county of Inyo, so be on the lookout and stay behind that solid white line. If you find yourself having received a traffic ticket in Inyo, give us a call or fill out our form to see how we can help! Inyo County is the historic homeland of the Mono tribe, the Coso people, and the Timbisha, and Kawaiisu Native Americans. Decendants of these native ancestors are still found near the Owens River Valley and in Death Valley National Park located within the county’s territory lines. Originally formed in 1866 from the unofficial county of Coso (created in 1864 from parts of Mono and Tulare Counties), the county grew to acquire more land from Mono County in 1870 and Kern County and San Bernardino County in 1872. 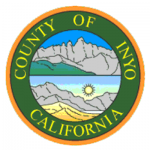 Today, Inyo encompasses 10,227 square miles, making it the second largest county in area in California and the ninth largest in the United States. Even so, it has a population density of only 1.8 persons per square mile (home to only 18,026 residents), making it the second lowest population density in California. Almost one half of Inyo is located within Death Valley National Park, and includes the Badwater Basin, which is the lowest place in North America at 282 feet below sea level. Surprisingly, Inyo County also encompasses Mount Whitney whose peak is the highest point in the contiguous United States, with an elevation of 14,505 feet. Death Valley National Park is visited annually by more than 770,000 visitors who come to enjoy the area’s diverse geologic features, desert wildlife, historic sites, scenery, and clear night skies. In addition, Inyo county offers some of the best alpine climbing, spring skiing, horseback riding, and mountain biking in the world.